All photos in above gallery by Brandon Gray. The Coldfoot Trucker’s Cafe is open year-round, but our offerings change seasonally. In the summer, we offer delicious breakfast & dinner buffets. In the winter, the menu is available all day. Check below for details. In the summer, we run a full breakfast buffet from 5 am – 9 am, and a dinner buffet from 5 pm – 9 pm. During these times, only truckers may order off the menu, and all other guests may enjoy our delicious buffet offerings. Our breakfast buffets are anything but standard. Every morning, enjoy a fresh fruit and yogurt bar, cereal, oatmeal and toppings, and a full hot food bar including hand-battered French toast, buttermilk pancakes, sausage & bacon, and scrambled eggs. Also included is a selection of breakfast pastries (baked fresh daily), toast, and milk or orange juice. Dinner buffets change daily, but always feature a full salad bar, homemade soup, a variety of hot food, and handcrafted bread and desserts (baked fresh daily). We offer discounts for children 12 years and under. All photos in above gallery by Audrey Coble. In the winter, guests may order from the menu (including breakfast) all day, from 5am to 12am. We will sometimes run specials, so make sure to ask the host if you’re interested! 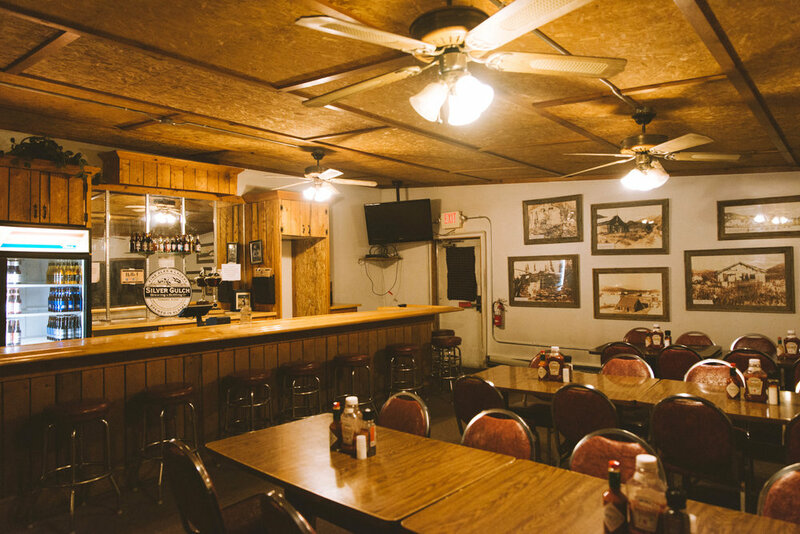 To take a look at our menu, click here. We provide no-fuss sack lunches perfect to take with you on the road or on your hike. Personalize your own hearty sandwich, and choose your drink, chips and cookies for the perfect midday snack. For your convenience, you can order the sack lunch when you need it, or the night before to pick up in the morning before you head out. Lunches are made “trucker style,” which means you can put them together whenever you’re ready to eat. No soggy bread and you can customize your condiments! Ask your camp host for more information. Banner photo by Audrey Coble.